Whether you are a founder, employee, or individual, you are selling some sort of product. Every email you send, blog post you write, and photo you instagram has a purpose surrounding that product. You are posting these pieces of content for a reason; you want your audience to engage with that content in some way. First, you must understand what the purpose of that content is. Second, you have to make sure your audience engages with the content you post in the way that you want them to. The “call-to-action” (CTA) mindset is making sure that you have a clear objective for each piece of content you create. What are you calling the audience to do? Do you want them to like your Facebook post, click on a link, download a guide, or sign up for a demo? If you don’t clarify and call it out, then how will your audience know what to do? A CTA is something that every single piece of content you create has to have. When creating any type of content, begin by asking yourself: where do I want to drive my reader to? If you have already built out a marketing plan, then the answer to this question is informed by the metrics and KPIs that are priority for you.Once you know the answer to this question, then you know what CTA to use. A caption explaining the content you are posting, and then a short and sweet ask with a corresponding link (e.g., “Sign up here!”). You can A/B test different wording for the CTA, to see which arrangement of words drives more engagement. For newsletters and emails, avoid including too many links because attention spans are short. A simple “Read More” or “Register Now” will do, and you can A/B test with buttons vs. plain text to see which one drives more clicks. The end of every blog post should have a CTA that drives the reader to read more about the subject if they’re interested. This is also a way for you to capture more information about them. For this, you can include a CTA linking similar posts, guides, or case studies. Or you can have them sign up for a demo, a newsletter, or leave a comment. 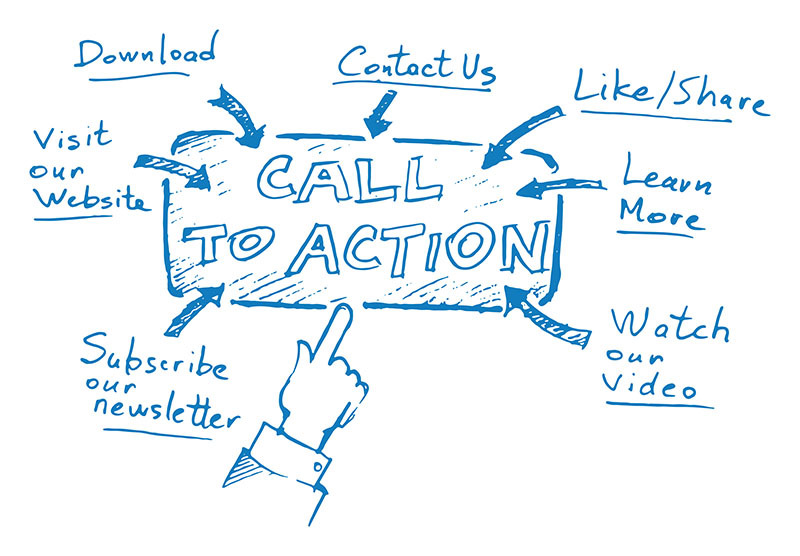 Whether it is a 1-pager, flyer, or banner for your booth, determine the specific call-to-action for the reader. Beyond simply displaying your logo and tagline, include an email, website, and social media icons on the visual. Above all, make sure you put yourself into your audience’s shoes. It takes a lot to capture attention in today’s noisy world, and requires even more for an action to be taken. So make a clear ask that aligns with your objective. Have a CTA on every piece of content you release to the world. Looking for even more tips for building great content to drive lead gen? Check out insights from our workshop presentation — Marketing Strategies for Startups: Using Marketing to Drive Engagement & Sales on November 13 at OK!Thess. We cover topics like the buyer journey, steps for building content that’s guaranteed to convert, and tools and resources to bring your marketing strategy to life. To learn more about upcoming workshops, sign up for our newsletter and be the first to know.